Sardinia is one of Italy’s best-kept wine secrets, as its bottles are much less visible on the international scene today than those of Sicily, Italy’s other big wine island. This lack of recognition is due to a number of factors. 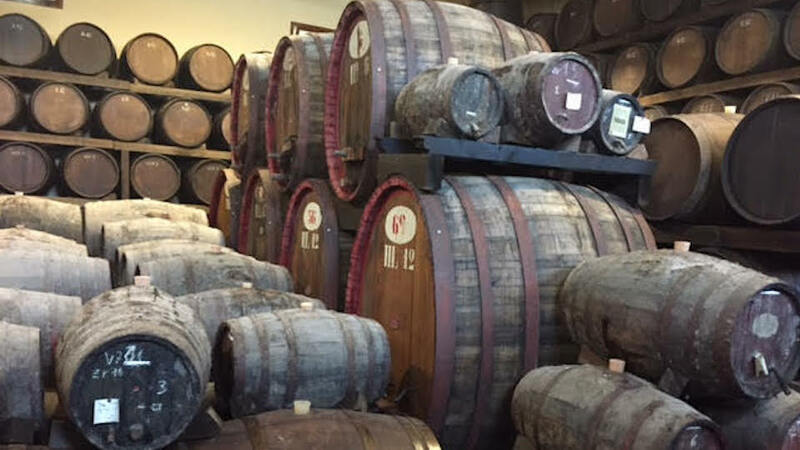 Through shortsightedness, Sardinia does not have a jewel of a research institute like Sicily’s Istituto Regionale del Vino e Olio, nor does it have a functioning consortium of wine estates that can receive serious journalists or travel the world to showcase the region’s best estates and their wines. In the end, such promotional activities fall mostly on the shoulders of top estates such as Argiolas, Capichera, Contini, Pala and Sella & Mosca, who manage quite well, even if carrying that burden should not be their responsibility. Of course, some of the island’s producers also need to wake up to the 21st century. The number of times I’ve written to Sardinian estates or cooperatives over the years and never received a reply of any kind is unfortunately high. All this is a shame because the island’s wines have improved by leaps and bounds over the last 20 years. And whereas decades ago there were too many overly alcoholic, rustic reds and simple whites with little staying power, that is no longer true today. In fact, Sardinia has many unique, well-made wines to offer wine lovers everywhere – and the region is also one of the most beautiful vacation destinations in Italy. At 9,300 square miles, Sardinia is Europe’s sixth largest island (after Great Britain, Ireland, Iceland, Spitsbergen and Sicily), with a population of roughly 1,650,000. Viticulture and wine are very important for the island’s economy. The island boasts 25,000 hectares under vine, but there are an estimated 31,000 grape-growing entities. In other words, like everywhere else in Italy, average land ownership is very small – just 0.8 hectare per farming family. This means that wine co-operatives, much like in Alto Adige (where average land ownership per family is also very small), are a way of life in Sardinia, a necessary means by which to reduce production costs and make wine in an economically sustainable manner. Happily, some of Sardinia’s wine co-ops – including Cantina del Vermentino, Cantina di Mogoro - Il Nuraghe and Cantina di Gallura – rank among Italy’s best, which is one of the reasons why consumers can find many excellent, refreshing whites and reds from Sardinia at generally low prices. Research data that I’ve obtained over the years for my upcoming book on Italy’s wine terroirs shows that Sardinia’s production figures are encouraging in some respects and disheartening in others. As is the case in many other areas of the world, over the last two decades Sardinia’s wine production has improved in quality but slightly decreased in quantity (even if production in 2016 swung back upwards slightly over recent years). In 2016, Sardinia produced 804,000 hectoliters of wine, versus roughly 850,000 hectoliters as recently as 2008. Over the same period, the percentage of DOC and DOCG wines rose sharply from about 30% to just over two-thirds, mostly due to recent plantings of Vermentino, often at the expense of other native grapes. Although Vermentino is probably the island’s best-known grape variety and wine, Sardinia’s wine production has historically tilted towards reds, which now account for 55% of the total. Five grape varieties – Cannonau (5,388 hectares), Vermentino (3,119 hectares), Carignano (1,563 hectares), Monica (1,354 hectares) and Nuragus (1,352 hectares) – account for 69% of Sardinia’s land under vine, but the island also boasts a number of additional high-quality grapes from which many delicious wines are made. For example, the up-and-coming Bovale Sardo grows on 193 hectares and the little-known Pascale – from which I’d personally like to see more mono-variety wines being made – grows on a respectable 245 hectares. 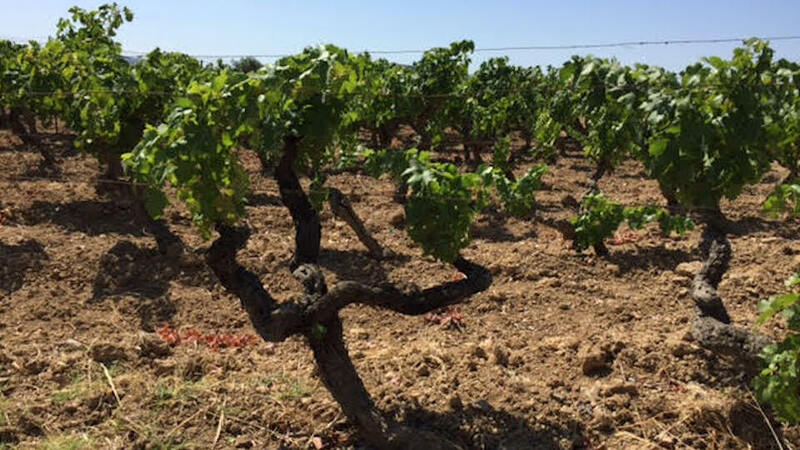 Cagnulari, which was essentially brought back to commercial attention by Giovanni Maria Cherchi only a couple of decades ago, is starting to meet with real and increasing success; this variety is planted on 235 hectares and its numbers are climbing steadily. Besides Vermentino, Sardinia boasts numerous high-quality white wine grapes, but they all risk being dwarfed by Vermentino’s success, and this is a shame for Nasco (88 hectares) and Semidano (34 hectares), which have the potential to make outstanding wines. The disheartening aspect to Sardinian viticulture I alluded to earlier is that more and more producers are planting the fashionable Vermentino in place of other old local grapes and are uprooting old vines to make way for more Vermentino plantings. This is a bad idea for many reasons, and I am confident in predicting that such action will come back to haunt Sardinia’s wine producers. Ripping up 50- or 60-year-old vineyards of Vernaccia di Oristano or of Malvasia di Sardegna makes no sense, as once those old vines are gone (unique biotypes at that!) they are extremely unlikely to return. Moreover, Vermentino is being planted in many parts of the island where it really does not give especially memorable results – shades of the silly expansion of Montalcino’s boundaries to areas unsuited for high-quality Sangiovese wine production, or of Etna, where some producers are now exerting pressure to have the Etna Rosso denomination enlarged to include areas where Nerello Mascalese does not ripen properly. For example, Vermentino wines from the central-western part of Sardinia (the home of Vernaccia di Oristano) are really nothing to get excited about. The world is full of similarly nondescript white wines. Sooner or later, when wine lovers finally catch on (and they will), sales of Vermentino wines driven by the variety being the flavor of the month rather than by quality will dry up. Sardinia’s indigenous grape varieties have adapted over the centuries to the island’s uniquely dry, hot climate and thus give better results than other grapes introduced to the island in more recent times. Of course, old vines are important everywhere in the world, but in Sardinia their presence is paramount. 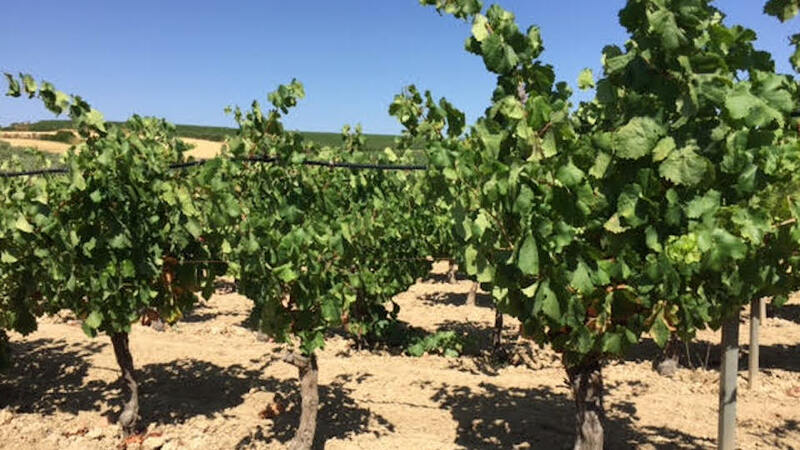 In these typically hot, very dry weather conditions only older vines with long roots can reach down deep into the soil in order to find water and nutrients. Almost all of Sardinia’s viticultural areas are blessed with very old vines. The most famous Sardinian viticultural area is the Gallura, at the island’s northeastern tip and most noteworthy for its highly unique soils of mostly disaggregated granite. The Campidanese area of Cagliari (Sardinia’s biggest city) is rich in calcaire and whitish soils, while the Marmilla area in the island’s central-southern portion is more clay-dominated. The Oristanese, located in the island’s central-western section, is characterized by mostly sandy soils thanks to the presence of the Tirso river estuary. In northwestern Sardinia, the Romangia area (where the towns of Sorso and Sennori are located), like the southern part of the Oristanese, is especially rich in very old, ungrafted vines. 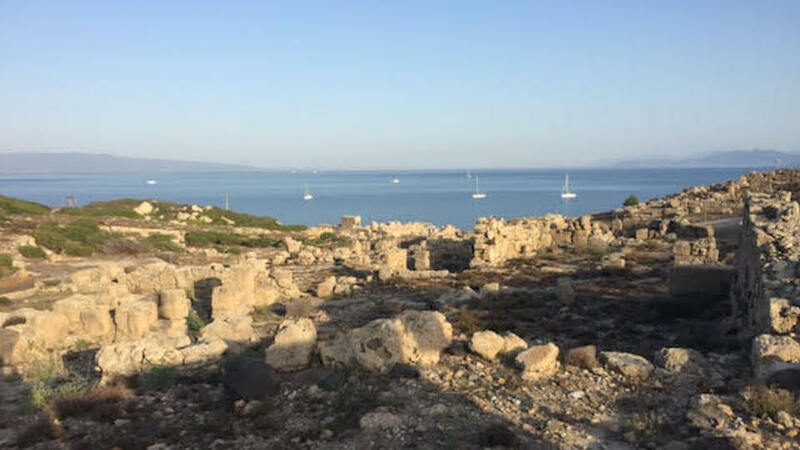 Unlike in most other Italian regions, the 2016 vintage in Sardinia was good, as the island was spared the rainfall that fell on the rest of the Italian peninsula, at least until September. In fact, early that month a little rain proved very beneficial because the summer had been especially dry. A little rain in September is always a good thing for late-ripening varieties like Cannonau and Carignano, especially so when drought conditions in August have exhausted water reserves in the soil. Unfortunately, copious rainfall then fell in mid-September, which had a diluting effect on grapes harvested during that part of the month. But fruit left hanging fared much better, as late September and October were warm, dry and sunny. For the most part, the 2016 white wines are fresh and lively, while the reds also have considerable spring in their step. Even so, my tastings showed that, overall, many Sardinian wines aren’t as concentrated or as exciting as the same bottlings in 2014 and 2015. The 2015 vintage was hot on the island just like it was everywhere else in Italy. The winter was cold, the spring quite rainy but not cool, and the summer was dry and hot, but with very good day-night temperature variation allowing for perfumed, vibrant wines. One downside to the torrid summer was that many grapes began dehydrating on the vine sooner than usual and some producers chose to pull the trigger on the harvest prior to full physiological ripeness. While the best reds are especially luscious and balanced, some can be marred by gritty tannins and others by cooked aromas and flavors. I tasted the wines in this report during my annual visits to Sardinia’s wineries in July and August of 2017 and in my office in Rome in December 2017 and January 2018.